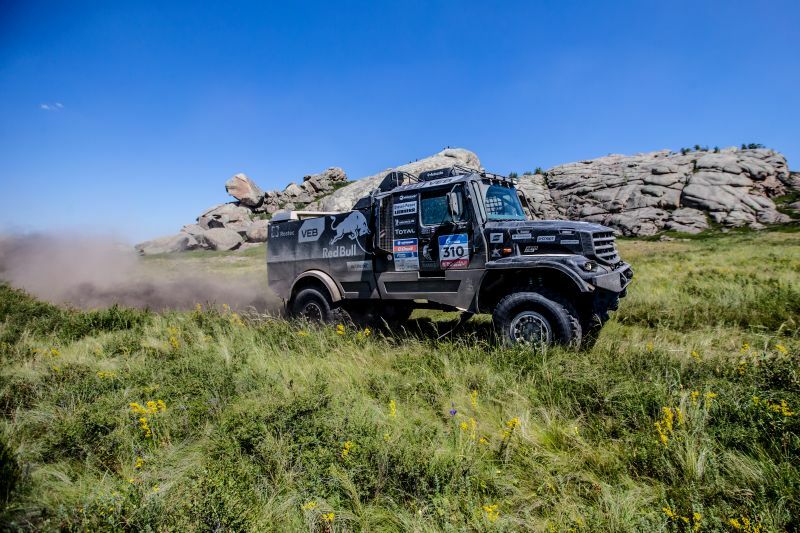 A crew of Russia’s Airat Mardeyev of KAMAZ-Master team won the Silk Road rally among trucks with the final result of 39 hours 23 minutes and 18 seconds. The crew was the second at the 14th stage, where the truck covered the special passage (261 kilometers) in 3 hours 59 minutes and 26 seconds after the Polish crew (with difference of 1:23.16). The rally started on July 8 from Moscow’s central Red Square. The rally distance is more than 10,000 kilometers. The route crosses 15 cities. Over the two weeks’ competition, the crews had one day to rest and recover. The rally will finish on July 24 in Beijing’s central Tiananmen Square.